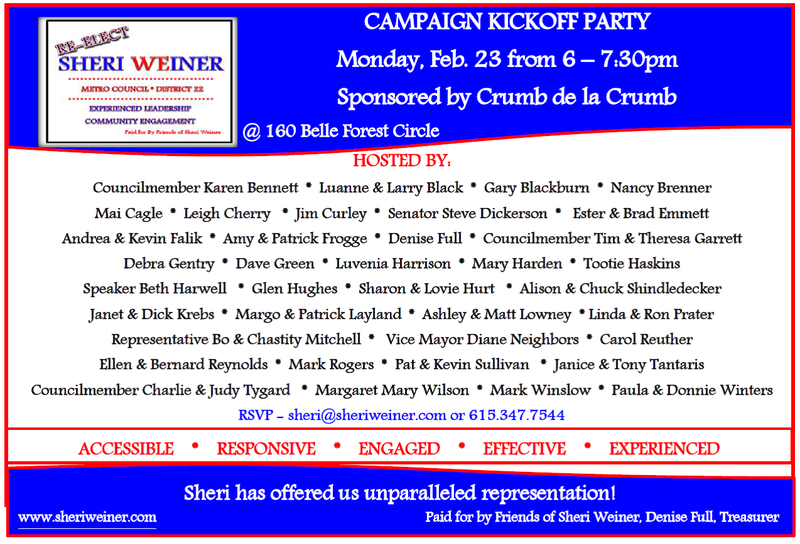 A Disgruntled Republican in Nashville: Campaign Kickoff Party for Sheri Weiner tonight! Sherry is one of the "good" council members. She deserves to be reelected.